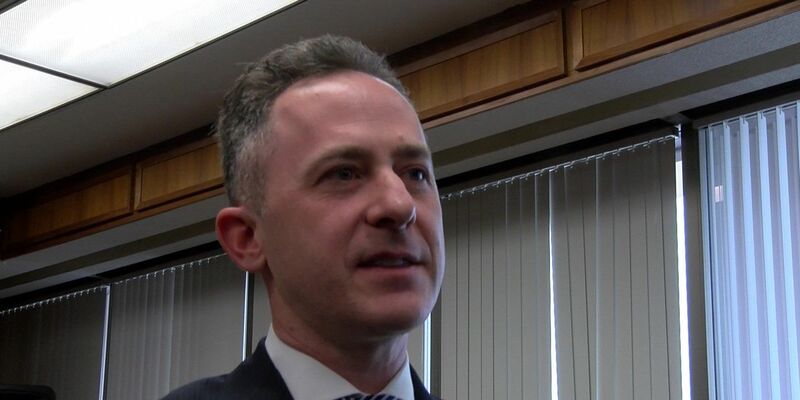 RICHMOND, VA (WWBT) - Richmond Public Schools superintendent Jason Kamras is calling for a property tax increase to help fund the school system. Kamras wants the city to increase its property tax rate from $1.20 per $100 of assessed value to $1.30, saying it will raise $20 million a year. One-third of that money would go toward the construction of new buildings and two-thirds would cover operation costs of existing schools. Additionally, Kamras called for a larger percentage of Virginia Lottery proceeds to be allocated for education, raising the “at-risk add-on” and a special fund from the Virginia Department of Education for school systems. Two marches for increased funding are in the works. The March For More is scheduled for Dec. 8 and the Red 4 Ed march is scheduled for Jan. 28. Both will be in Richmond. Kamras praised the meals tax increase instituted earlier this year, which he said has helped fund new construction projects, but said Richmond has greater needs due to a higher poverty level in the city than in surrounding counties, meaning the increased funding from a property tax increase is a necessity. The money would be used to implement the Dreams4RPS five-year strategic plan. I love Richmond Public Schools. I've been here less than a year, but RPS now feels like home. And as I have often said publicly, I hope to be here for a very long time. Since I arrived in February, I've tried to do three things. First, I've attempted to lean into the very real challenges we face as a school division: only 19 of our 44 schools are accredited; we have unconscionable gaps in achievement along racial and economic lines; and we have crumbling buildings that symbolize decades of indifference to our children's needs. I believe our students, families, staff, and community deserve the truth - even when it's hard to hear. Second, I've tried to celebrate the greatness in our students as well as the inspiring efforts of our staff, families, and partners to help RPS realize its tremendous potential - people like RPS teacher Rodney Robinson, who was just named the 2018 Virginia State Teacher of the Year. If you want to know what love looks and sounds like, just visit his classroom any day of the week. Third, I've endeavored to work hand-in-hand with our community to paint an inspiring vision for the future of RPS. Those efforts culminated in the development of Dreams4RPS, our exciting and innovative five-year strategic plan. Now we need to roll up our sleeves and begin implementing Dreams4RPS in order to achieve our big, audacious goal: 100% accreditation by 2023 so that ALL of our students are prepared to pursue their dreams. To reach this goal, we need to do a lot of things differently at RPS. We need to manage better, hold the bar higher, and be unafraid of busting out of the traditional education box. But we also need more resources. With the current pie, we simply won't be able to reach our goals. So how do we increase the pie? By focusing on our two biggest revenue sources - the State and the City. We need more from both. Beginning with the state, as I have shared before, our funding is almost 20% below where it was before the recession - despite revenue being way up. This year alone, the Commonwealth is expected to have over $500 million in additional revenue. While the state's coffers have expanded, its schools have suffered. Despite the fact that we have more students now, we have fewer teachers, fewer counselors, outdated technology, and less of just about everything else. If there was ever a year to invest in public education, this is it. That's why we are calling on every resident of the Commonwealth to join RPS, Mayor Stoney, and the City of Richmond for a march on the Capitol to support dramatic increases in education funding. We're calling this effort "MarchForMore" and it will take place on Saturday, December 8. We will meet at 10 am at MLK Middle School, march across the MLK Bridge, and then rally on the steps of the Capitol. Please spread the word to everyone in your networks. Our goal is to have at least 10,000 people surround the Capitol to ensure our voices are heard. You will have a second opportunity to support increased education funding from the State by joining in the #Red4Ed march on January 28, also here in Richmond. At the very least, we need to advocate for three things from the state: 1) an increase in the percentage of Virginia Lottery proceeds that come to schools; 2) an increase in the "at-risk add-on" for students who grow up in poverty and face other challenges; and 3) a special pot of money for school divisions currently under a Memorandum of Understanding with the VDOE (such as RPS). Turning now to funding from the City of Richmond, let me first say thank you. Shortly after I arrived, the Mayor put forth the Meals Tax and the Council approved it. As a result, we are now in the midst of building three new schools: George Mason ES, ESH Greene ES, and a new middle school on Hull Street (the old Elkhardt site). Moreover, we have about half the funding we need to build a new George Wythe High School. If revenue from the Meals Tax exceeds projections - as some analysts believe it will - we'll get across the finish line on Wythe and tee up the next set of schools. I also want to thank the City as it has steadily increased funding for RPS over the last several years while the Commonwealth slashed it. Those increases have been invaluable. All that said, our children need more. And so today I am asking the Council to enlarge the pie for our children by restoring Richmond's property tax rate to its pre-recession level: $1.30 per $100 of assessed value. To offset the burden this would place on low-income families, I propose a rebate program for residents below a certain income level. And I'm open to any other sensible policies to make sure we don't place an undue burden on small businesses, which have been the engine of Richmond's recent economic expansion. I recognize that raising property taxes might be the least popular thing an elected official can do. And I recognize it means less hard-earned money in people's pockets. But I'm asking the Council and the City to support this nonetheless. Let's move beyond impassioned speeches about the need to do something. Let's just do it. 1) RPS doesn't need more money; it needs better management - I firmly believe it needs both. On the management side, I have tried to demonstrate over the last several months that I take this responsibility very seriously. I brought in an entirely new senior leadership team, cut 30 positions from the central office, removed a number of individuals who were not performing adequately, reconciled our capital accounts with the City, called for a finance and operations audit (which we're beginning to implement), and added an auditor position. And I'm just getting started. During this budget cycle, I intend to slash millions of dollars currently being wasted on ineffective initiatives and reallocate those resources to people and programs that have a proven track record of success. 2) What exactly does RPS need the money for? Does it even have a plan? - Indeed we do. As noted above, it's called Dreams4RPS and we developed it in close collaboration with stakeholders over the last several months. After more than 170 community meetings and the participation of over 3,000 people, we have a bold plan for the future built around five key priorities: 1) Exciting and Rigorous Teaching and Learning; 2) Skilled and Supported Staff; 3) Safe and Loving School Cultures; 4) Deep Partnership with Families and Community; and 5) Modern Systems and Infrastructure. You can read the full plan here. 3) RPS already spends more per student than the counties; why does it need even more? ­­­- Because our students have much greater needs than those in Henrico, Hanover, or Chesterfield. Our student poverty rate is roughly twice what it is in Chesterfield and Henrico, and almost three times what it is in Hanover. The research on educating children who grow up in poverty is painfully clear: it's dramatically more expensive. 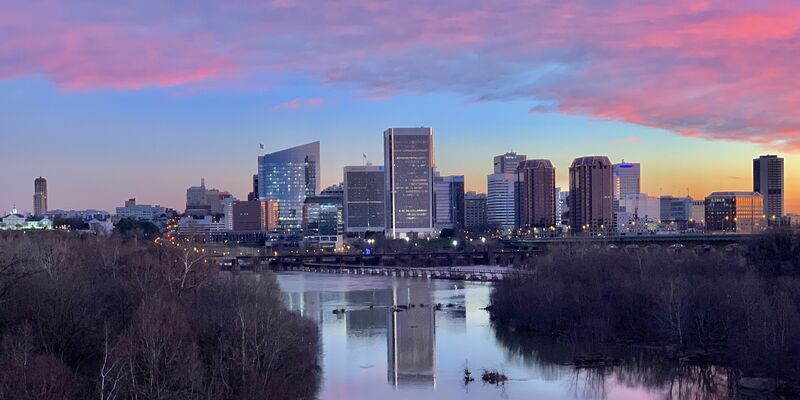 I am certain that many Richmonders - including some of our elected officials - will tell me that we need to take more time to think this through, do some more studies, and think about other sources of revenue. I've heard this now for almost an entire year. Our children, families, and staff can't wait any longer. As Dr. King so famously said: "We are now faced with the fact that tomorrow is today. We are confronted with the fierce urgency of now. In this unfolding conundrum of life and history, there 'is' such a thing as being too late. This is no time for apathy or complacency. This is a time for vigorous and positive action." Let us rise beyond our painful past as the former Capital of the Confederacy and take this desperately needed action to create a more just and equitable future for our children - and let us do it with the fierce urgency of now.